KBC, one of the biggest banks in Belgium, still had some tickets left for one of Belgium’s best festivals: Pukkelpop. They wanted to share those tickets with the Belgian youngsters in a fun way. We know for a fact that festivals are extremely expensive - especially for teens. 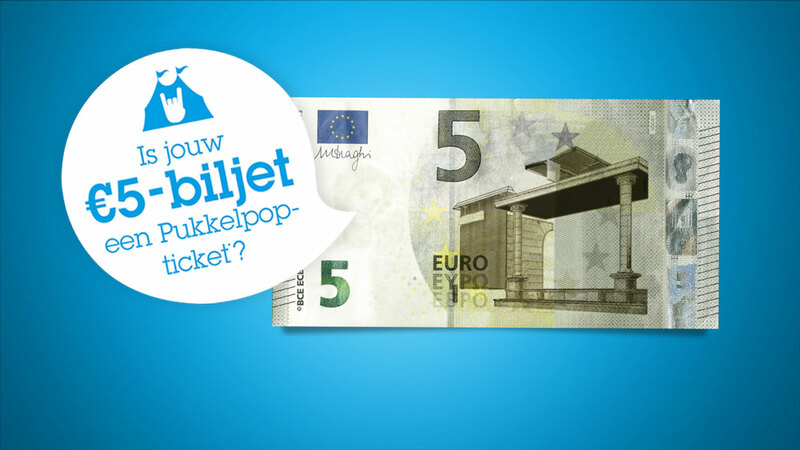 So we came up with the KBC festival campaign: Is your €5 note a Pukkelpop ticket? Every €5 note has a unique serial number. If you got a €5 note and you entered its unique code on our website, you got a chance of winning a Pukkelpop ticket. If you entered a winning number AND you could show us the original €5 note, you won a free entry for 1 day for you and a friend. We had a very limited media plan to guide people to the campaign website. We only used our Facebook page, online bannering and youtube prerolls to communicate about the campaign. Next to that, we sent a direct mail to Belgian bloggers containing a real €5 note to get started and to inspire their followers. We even built a real-life cash machine in Gent Shopping Centre to people by randomly spitting out €5 notes. 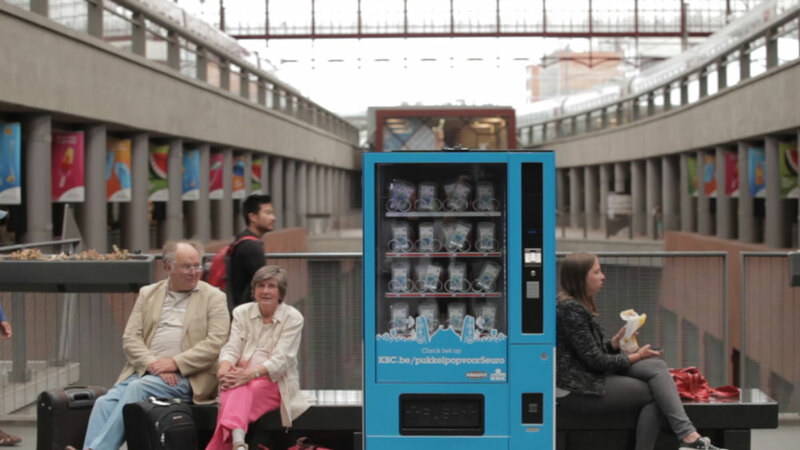 We also put up vending machines where people could buy a €5 note for 5 Euros of change. 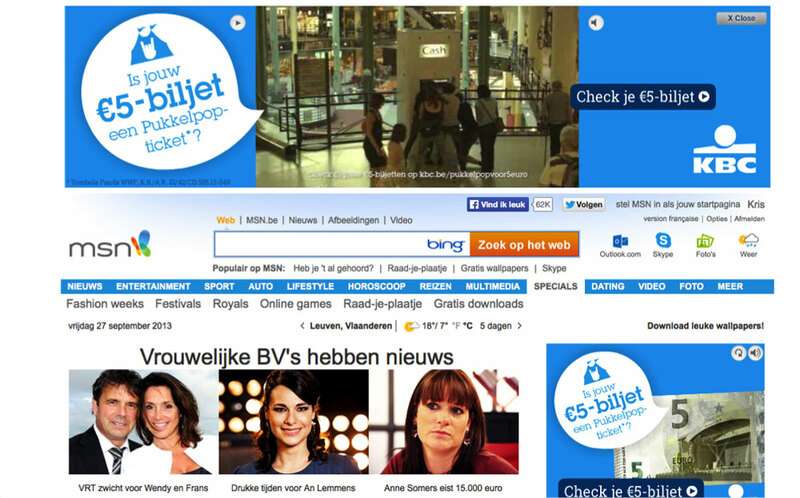 We got more than 150,000 visitors on the website and 63,151 €5 notes were checked in only 9 days. Some people really went for it: one person even checked 187 notes.